Our Laser Skin Rejuvenation is done with the MedLite C6®. This laser works on a cellular level to improve skin tone and texture, firm the skin, reduce pore size and appearance of fine lines and wrinkles. The laser will stimulate collagen and elastin production in order to promote healthy skin cells. Results will vary from one individual to another depending on what their main concern is, their skin type, healing time, etc. It is recommended around 8-10 treatments (or 10 -15 in more complex concerns). Most clients will notice their skin will feel tighter and pore will be minimized after the first treatment. After 3 - 4 treatments the clients will notice an overall improvement in the texture of their skin and overall tightness. What will my skin look like directly after the treatment? Minimal downtime is associated with this treatment. Normally the skin will look slightly red straight after treatment, which will feel like a mild sunburn. It will normally cease in about 2-3 hours. For clients with very sensitive skin, redness can last up to 24 hours. How is MedLite C6® different to other lasers? The Medlite C6® is generally less invasive than other lasers. When comparing it to Fraxel Lasers and most IPL treatments, Medlite C6® has less downtime.Medlite C6® is more gradual than other lasers and works on a cellular level in the skin, resulting in renewal of skin cells without being too harsh. Hence, why minimal downtime is experienced. How often should I have treatments done? It will vary depending on client’s concerns. Generally the first 4 treatments are undertaken weekly and then spaced out fortnightly until we have achieved desired results. Once clients have achieved expected results, maintenance is recommended every 3-4 months. There is a level of discomfort involved with the Medlite C6® treatment. This will also vary depending on each individual’s pain threshold. The sensation can be described as a series of tiny warm rubber bands flicking on the skin. We offer to every client a FREE initial consultation where we can further discuss treatment plan and make sure this is the right treatment for you. 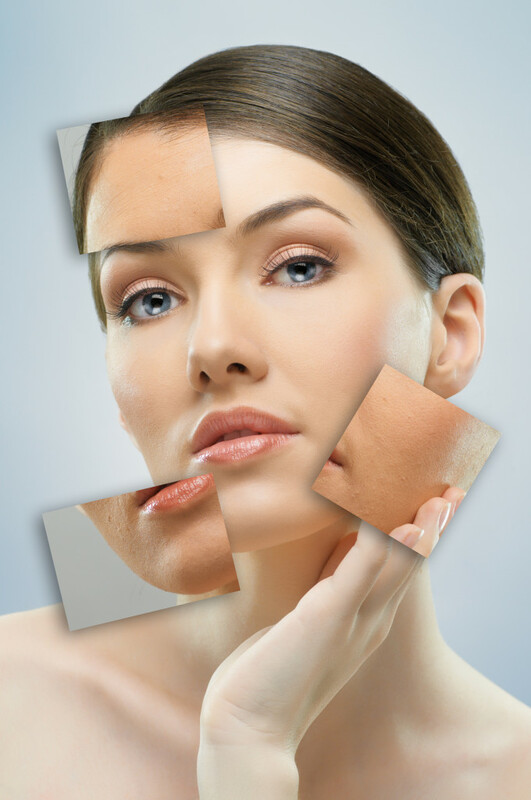 Carbon Laser Peel; also known as Pore Reduction Peel, China Doll Facial and Hollywood Laser Peel; is the newest treatment in the market that reduces pore size, enhances the skin’s radiance and promotes a smooth, clean, glowing, toned complexion. This treatment is very popular in Asia and has been made famous by Asian Celebrities. The Carbon Laser Peel gives you glowing skin after just one treatment. In addition, this treatment also resurfaces the skin and provides effective skin rejuvenation with outstanding clinical results and NO DOWNTIME! How does the Carbon Laser Peel Treatment work? First, the skin is double cleansed a gentle laser skin rejuvenation is done. After that, a medical grade Carbon solution is applied to the skin, which will penetrate the pores. The laser is then used to gently heat the carbon, which will stimulate collagen production, close the pores and kill bacteria sitting inside the pores. Around 6-8 sessions are recommended for optimum results. 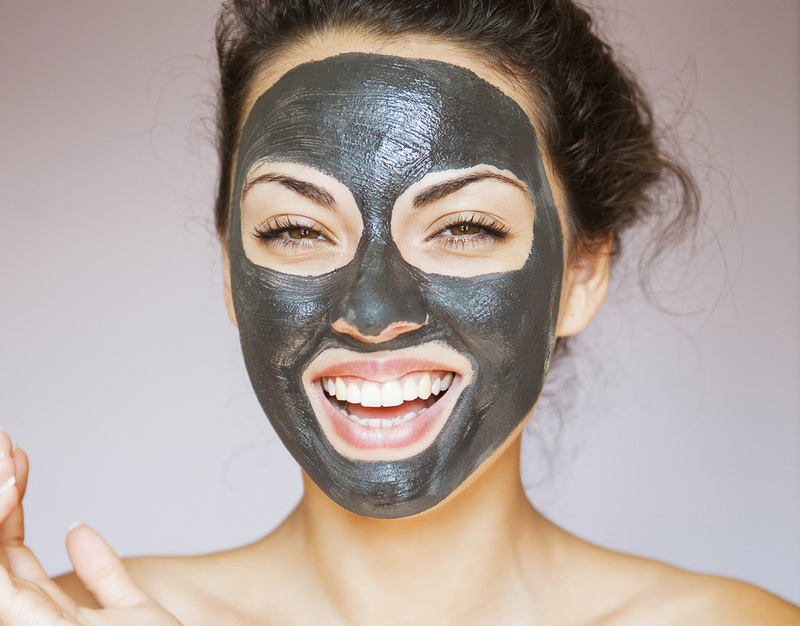 How often can I have a Carbon Peel session? We recommend sessions to be done every 2-3 weeks. Is there any downtime associated with this treatment? No downtime is experienced with this treatment. You may immediately return to your daily activities. The majority of clients report no pain. You will feel a slight warming sensation of your skin and a light prickling feeling. 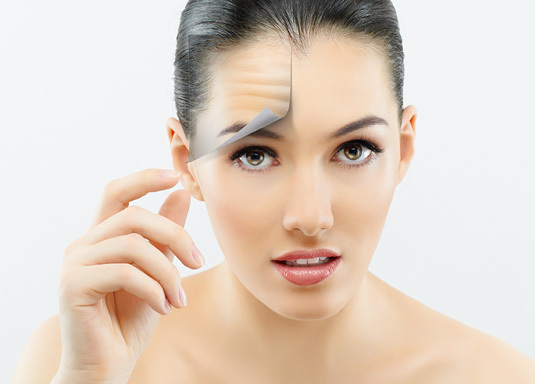 At Skinnovation we also specialise in wrinkle reduction. The technique we utilise is Micropoints, which is an innovative technique from Brazil. The technique stimulates the production of collagen and elastin in order to promote skin regeneration. The method promotes skin stimulation via mechanical action and use of appropriate cosmetics, providing cell regeneration and softening expression lines. For best results, up to 8 sessions are required that can be done fourtnightly. Session duration can vary from 15 minutes up to 80 minutes depending on areas treated. There is some downtime associated with treatment that normally lasts around one week, where the skin will look red and in a few cases slightly bruised. The treatment is affordable and durable. 50% to 90% wrinkle reduction can be achieved and results normally last from 12 to 18 months, depending on how clients look after their skin. Most clients will experience a significant improvement in the first session. It can be performed at any age and any skin types. We offer a $50 (redeemable in treatments) Skin Consultation and analysis, where we can further discuss the best treatment plan for your needs. Please see information below for each treatment type. At Skinnovation, we treat acne and acne scarring with MedLite C6®. 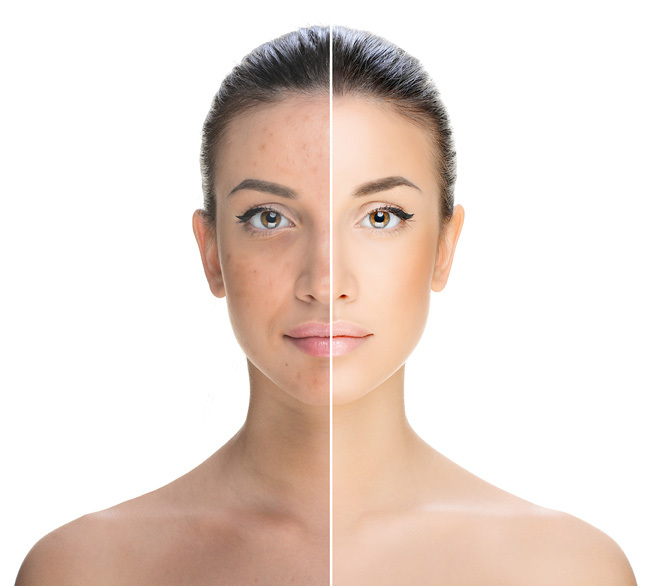 Laser acne therapy uses thermal energy to cause a chemical reaction in the pores, killing bacteria that causes acne. It also minimizes the oil flow by reducing pore size, giving you control over your skin. 6-8 treatments are recommended for acne treatments. 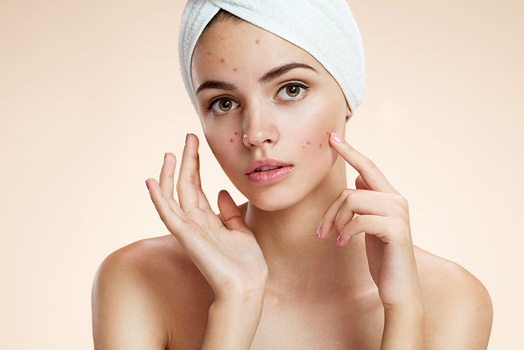 In the case of remaining acne scarring, the laser will use thermal energy to penetrate skin and produce new collagen and elastin which will encourage the cells to self-repair. 10-15 treatments are recommended for acne scarring reduction. Treatment can also be combined with Skin Needling for optimum results. In cases of pitted acne scarring or where the client wants faster results and doesn’t mind going through a bit of downtime, another great method we use is the Micropoints method. This technique is works amazingly on acne scarring. Around 4-6 sessions are required at 2-4 weeks intervals in between sessions. For these treatments we use the Micropoints technique. It works on scars the same way it does on wrinkles and fine lines. The technique uses a cosmetic tattooing machine, (without the use of any ink) to stimulate the production of collagen and elastion in order to promote skin regeneration. The method promotes skin stimulation via mechanical action and use of appropriate cosmetics, providing cell regeneration. For best results, up to 8 sessions are required, recommended 2-4 weeks apart depending on client’s healing abilities. Session duration can vary from 15 minutes up to 80 minutes depending on areas treated. 50% to 90% scar reduction can be achieved and results are permanent. 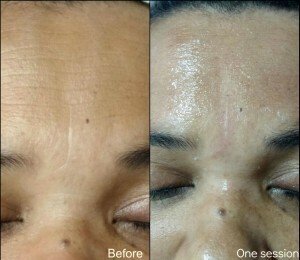 At Skinnovation we use OCosmedics Pro Dermal Planning Series. PRO Dermal Planning is the next generation of skin treatments. This is not just a peel to strip the skin back, this is a skin specific blend of high end active vitamins, peptides, and antioxidants – harmoniously blended with carefully chosen AHA, BHA and enzymes in advanced delivery systems to ensure the skin is rebuilt, strengthened and repaired from the inside out. PRO Dermal Planning is like going to the gym pumping weights, going home and eating the cleanest blend of protein, vitamins, EFAs, nutrients and drinking lots of water!! PRO Dermal Planning is perfectly partnered with the O Cosmedics skin health prescription kits and/or products to achieve exceptional results. It is recommended that you start using these products 2 weeks prior to commencing the PRO Dermal treatments. The perfect peel to promote smoother, youthful skin whilst increasing skin barrier, skin hydration and skin health. Pomegranate enzyme & extracts offer gentle exfoliating benefits, removing redundant cells from the skin surface whilst offering natural sunscreen protection and anti-inflammatory benefits. Jojoba esters along with multifruit botanical extracts, offer a concentrated and multifunctional blend of alpha hydroxyl acids to hydrate, moisturise, repair and reduce inflammation. Pumpkin Enzyme & Fruit Acid Peel? The perfect peel for skins concerned with ageing, pigmentation, sun damage and skin challenges. Pumpkin offers a POWERHOUSE of vitamins and nutrients with antioxidant benefits that target skin receptors to promote healthy skin cell turnover, resulting in age defying rejuvenation. The perfect blend of enzymes and fruit acids work to promote even skin tone, collagen production and elastin synthesis, skin health and cell optimisation. The perfect Vitamin A anti-aging peel, perfect for all skin types looking for skin health, repair and correction. Concentrated levels of pure Retinol and encapsulated Retinol, Niacinamide and Natural Fruit Acids work together to counteract skin aging, improve the appearance of UV damage, normalise keratinisation to improve the skin's cellular renewal process, refine and resurface the skin, even out skin tone and provide potent anti-inflammatory activity in even the most weakened skins. The perfect peel for all skin types, an instant pick me up to awaken, renew and smooth even the most tired skins. Perfectly formulated with high levels of Natural Fruit Acids, Papaya, Pumpkin and Pomegranate enzymes and perfectly infused with intense oxygenating and moisturising super peptides! This treatment increases desquamation and in turn hydration of the skin cells whilst significantly accelerating the skin's cellular renewal process. Hydrate, plump and renew the skin in just one application! High strength vitamin C and peptide peel, especially for pigmented, uneven skin tone, dull and devitalised skins. A unique biomimetic peptide encapsulated in a liposome allowing optimal whitening and lightening effects on the skin. With concentrated levels of Vitamin C, encapsulated Resveratrol, Niacinamide and Natural Fruit Acids, this treatment has the power to stimulate cellular turnover whilst protecting collagen and elastin! It is anti-ageing, hydrating, brightening, nourishing and anti-inflammatory. Microneedling/ Skin Needling is a non- invasive, clinical treatment that uses microscopic needles to treat a number of skin conditions ranging from ageing and pigmentation to acne, scarring and stretch marks. Tiny puncture channels are created within the skin to encourage an organic renewal and regenerating response. At Skinnovation Laser Clinic we use the latest automated technology on the market for Skin Needling: the Dermapen 4™. Dermapen 4™ glides over the skin creating millions of fine fractional channels up to 104% faster than other microneedling devices. These channels can carry up to 80% more topical nutrients deeper into the skin. In turn our body’s natural response triggers a natural process of repair. The result is an increased production of collagen and elastin, resurfacing, retexturizing and overall skin renewal anywhere on the body, from hard to reach areas such as around the eyes, eyelids, neck, lips, nose or larger areas of neck and décolletage. Dermapen 4™ is the most advanced microneedling device available. 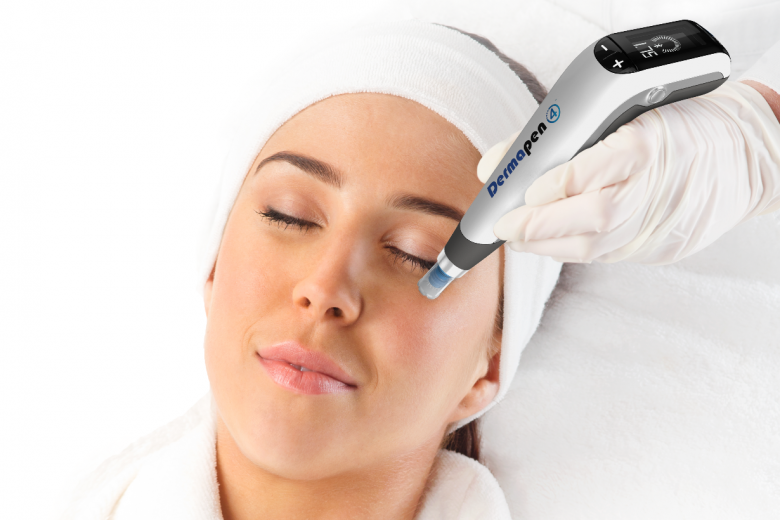 Dermapen 4™ treatments are faster and produce optimal results. Dermapen 4 is the most comfortable, virtually pain free Microneedling treatment available. Dermapen 4 treatments are so comfortable there is no need for topical anaesthetic cream. Is there any downtime involved in this treatment? Minimal downtime is experienced after a Dermapen 4 treatment. You may experience facial redness for 12-48 hours post treatment. Most people are able to return to normal daily activities straight after treatment. Results may be seen after one treatment. Patients report noticing a firmer, even-toned, more revitalised skin with a visible decrease in the appearance of wrinkles, pigmentation, sun damage, acne, enlarged pore and scarring. Depending on the appropriate course prescribed by your skin technician, 3-8 treatments might be recommended with 6-8 week intervals between each visit.